Despite the best efforts of reality television to portray Essex as party central for the loud and proud wannabe WAG brigade, the county has a great deal of beautiful rural countryside. Indeed the majority of the best places to stay in Essex will be found in charming villages and stunning countryside which inspired the artworks of John Constable. Colchester is a pretty market town with roots that reach back to Roman times - it claims to be the UK's oldest recorded town and is a good base for exploring the whole county as well as boasting several attractions including a Norman Castle, Roman ruins and zoo. Essex also boasts 350 miles of coastline which is amongst the most diverse in Britain with a wide variety of wildlife. For a traditional holiday Clacton and Southend on Sea immediately spring to mind - both have award winning beaches and traditional piers. But if you venture just slightly out of these resorts you'll discover hidden coves and inlets, atmospheric salt marshes and mudflats, stunning cliff top walks and charming seaside towns, whose seafaring heritage dates back centuries. Head off hiking and visit the ruins of Hadleigh Castle. Offering wonderful views and providing lots of information on the castle's history, there's also a farm shop with a café. Pack a picnic and spend the afternoon in this tranquil spot! Colchester Zoo is a fabulous family day out. Boasting over 270 species set in 60 acres of parkland and lakes, you can learn all about the animals by watching one of their 50 daily displays. Kids will love the various play areas dotted around, and you can even join in with feeding the elephants and giraffes! Spend the afternoon wandering around the delightful 7.5 acre Beth Chatto Gardens. This wonderfully-tended spot is a tranquil visit, complete with tea rooms to unwind in after walking around taking in the wonderful nature. The county is littered with historic houses and gardens and for wine buffs there are a number of vineyards to visited and tastings to be had. Swoop into the Imperial Bird of Prey Academy with memorable experiences on offer such as holding owls and hawks. You'll also learn a lot about all the different species through the very knowledgeable members of staff. This county is a very popular destination for weekend breaks due to its proximity to London. So if you want to surprise a loved one with a room in one of the best places to stay in Essex, be prepared to book well ahead. Opened in 1864 to put up passengers who had disembarked off sailing ships from the continent, The Pier at Harwich is an absolute delight for anyone who loves the sea and boats. Right on the harbour, it has fresh, modern, nautical design and a really great seafood restaurant which makes it a popular buzzy location with locals and guests alike. Rooms at the front of the hotel have huge windows overlooking the harbour with big squashy armchairs thoughtfully provided so guests can sit and watch the shipping slip by. Milsoms, just outside the charming village of Dedham, is a boutique hotel of fifteen rooms with a lively brasserie and bar. It showcases local art and has old fashioned telephones with dials and corkscrew wires in the rooms. Attention to detail in the bedrooms is good with wonderfully comfortable beds, lovely linen sheets and in the morning papers and coffee delivered to your room ensuring that you will want to linger even longer in bed. 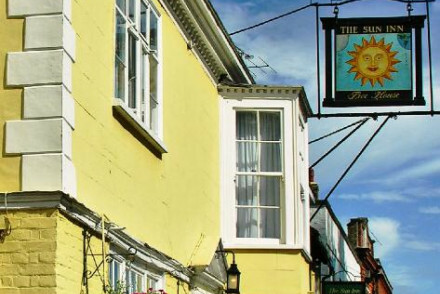 For a traditional experience visit the The Sun Inn, a charming old coaching inn in Constable's village of Dedham opposite the church he used to paint. Just seven rooms, beautifully appointed, some with four posters. 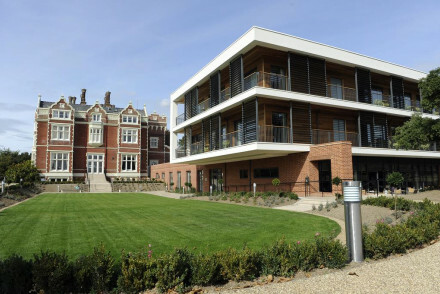 Linden House is a small luxury hotel offering easy access to Stansted Airport. Smart rooms feature sink-in-to beds (the best are four-posters), free standing copper baths and crisp white linen. A cosy bar and contemporary British restaurant are a welcome respite. A very comfortable option for a stop over. You can find further inspiration for romantic retreats in our list of hotels with hot tubs in Essex, or most romantic hotels in Essex. 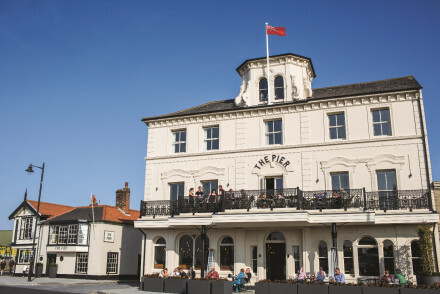 The Pier at Harwich is a charming waterfront property overlooking the quayside. Boasts unfussy, contemporary accommodation with sea views and fresh seafood at the restaurant. What's more, there's a gin library and Prosecco cocktails served up! Ideal for exploring rural Essex at it's best, The Mistley Thorn is a popular restaurant with rooms on the Stour Estuary with great food and good local walking. The Mistily Thorn has simple rooms but offers good value, especially with dinner. 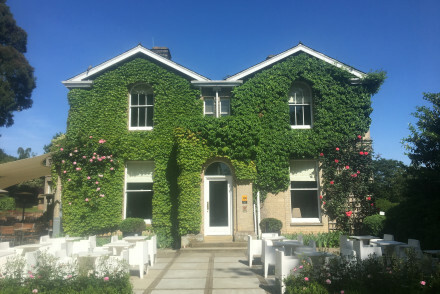 The Maison Talbooth is a sumptuously comfortable hotel with quirky touches in the heart of beautiful Constable country, outside Colchester. Popular for exclusive use bookings and weekend parties, it has a heated outdoor pool complex and hearty log fires (gas, but good). Family and dog friendly, there is a lovely tennis court with good coaching available. A friendly, relaxed, welcoming, fun hotel. Feel a million miles away from all your worries at The Pier At Harwich. This charming waterfront spot offers chic yet unfussy accommodation boasting wonderful sea views. Spend your days on the beach before taking in the sunset on the restaurant's balcony whilst enjoying dinner. Maison Talbooth, boasting chic interiors in a peaceful setting, is a wonderfully relaxing retreat. Spend your days in the spa, relax with a book outside by the pool (on good days!) and enjoy a casual game of tennis on their courts. Prefer a cottage or apartment? It's best to visit Essex over the summer months, with the average daily temperature reaching around 16°C. So it's hardly balmy, but on the warmer days you'll love exploring the countryside or heading down to the beach! The best airport for international visitors is Stansted Airport located 50km (31 miles) from Colchester. Alternatively, most towns are served by their own train station which is probably the best way to visit (unless you're travelling by car). Refine your seatch using our Gurus' recommendations for the best hotels with hot tubs in Essex? Or the most romantic hotels in Essex? 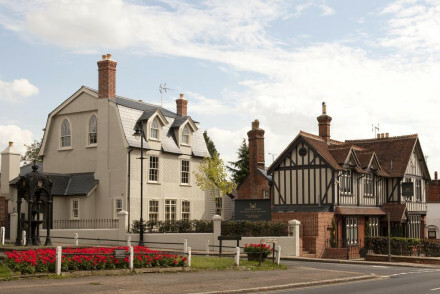 Widen your search to include the best places to stay in neighbouring Norfolk, Suffolk or Kent. Please feel free to call or contact one of our friendly Gurus for advice. A charming waterfront hotel overlooking the quayside at old Harwich. 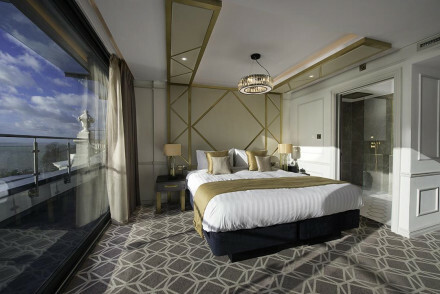 Contemporary rooms also capture the views over the harbour. The fish restaurant in a converted pub in the harbour is lively and popular with the locals. A great stay on the Essex coast. Foodies - Wonderful fresh seafood meets a creative chef, simply divine! Not to mention the gin library and Prosecco cocktails! Total relaxation - Sit in the suite's bay window, or indeed on the restaurant's balcony, and watch the sun set on the sea- heaven! Sights nearby - Just around the corner is the Electric Palace Cinema, the second oldest cinema in England- well worth a visit. Views - Great views over the busy harbour and the Stour and Orwell estuaries. 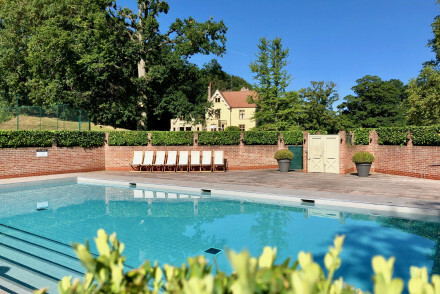 Quirky Essex hotel and spa in the heart of Constable country, with a pool and tennis, and spa facilities. Popular for hen parties and exclusive use. A charming country cottage set in quiet surrounds just minutes from Stansted Airport. Three cosy rooms are traditionally dressed with cast iron beds, beamed ceilings, white washed walls and wooden floors. A characterful choice for airport stay overs. 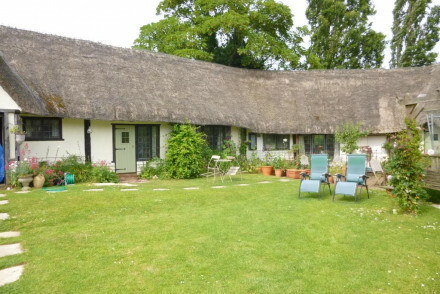 Short fly break - A delightful country cottage just 7 minutes from Stanstead Airport. Ideal for stopping over on the way in or out. Great walks - Stroll through the scenic National Trust Hatfield Forest. Sights nearby - Visit the impressive Stansted Mountfitchet Castle. 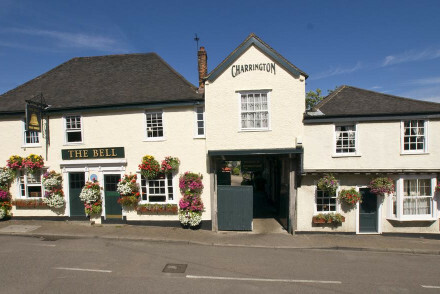 A quaint country Inn with an atmospheric pub and five charming rooms. Traditionally dressed throughout - think beamed ceilings, fireplaces and well placed antiques. The popular restaurant and bar boasts a fantastic selection of ales chosen by the knowledgable owner. 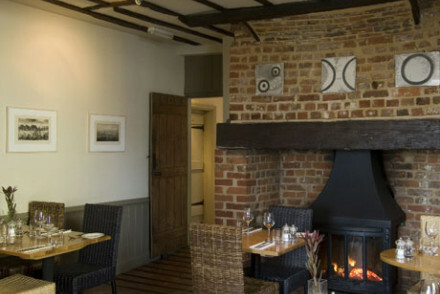 Country Escape - A charming family-run pub with excellent ales, roaring fires and hearty cuisine. Great walks - Discover the Essex countryside on miles of picturesque trails. A quintessentially British pub set in a 600 year old building, rammed full of character and history. The charming restaurant (serving excellent gastro dishes) is adorned with hanging copper pots and framed with a heavily beamed ceiling. 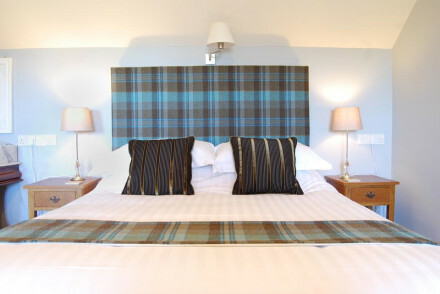 The rooms are individually designed and delightfully cosy. Hideaway - Charming, atmospheric and complete with an excellent traditional pub. Great walks - Take long coastal walks along the sea wall at Stanford le Hope. A small luxury hotel offering easy access to Stansted Airport. Smart rooms feature sink-in-to beds (the best are four-posters), free standing copper baths and crisp white linen. A cosy bar and contemporary British restaurant are a welcome respite. A very comfortable option for a stop over. Short fly break - Ideally located for a stop over on the way to or from Stansted Airport. Sights nearby - Explore the Jacobean mansion house Audley End House and Gardens. Great walks - Take long walks through the scenic Hatfield Forest. Popular restaurant with rooms on the Stour Estuary with great food and good local walking. The Mistily Thorn has simple rooms but offers good value, especially with dinner. Recently renovated, the Seven Hotel takes advantage of a superb positioning overlooking the sea. Contemporary and chic, the hotel offers spacious, comfortable rooms as well as an excellent restaurant. Sights nearby - Fans of Oliver Twist will love visiting Dickens World. Great walks - Go for a lovely walk along Southend pier. Charming old coaching inn in Constable's village of Dedham, opposite the church he used to paint. Just seven rooms, beautifully appointed, some with four posters. 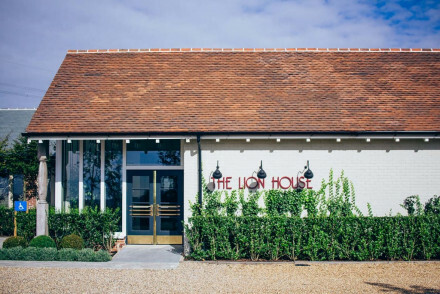 Long been run as a pub, the Lion Inn has now taken on a new form with an extensive conversion turning it into a restaurant with rooms. The rooms vary in style from the more traditional in the original building to slick and contemporary in the new. The restaurant is ever popular with the locals. 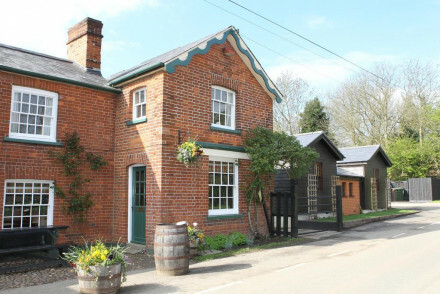 Country Escape - A converted pub, now restaurant with rooms, offering both the rural location and hearty British cuisine. Great walks - Take a stroll through the picturesque RHS Garden Hyde Hall. Sights nearby - Stop by Chelmsford's small pretty 11th century cathedral. An award winning pub boasting a secluded setting in a pretty part of rural Essex. Five beautifully designed rooms, located in the adjoining coach house, are immaculately styled and feature bold classic prints. The food is fabulous and service warm. The ideal rural escape. Country Escape - The perfect country pub; warm, welcoming and excellent food and ales. Great walks - Discover the picturesque countryside on miles of uninterupted trails. 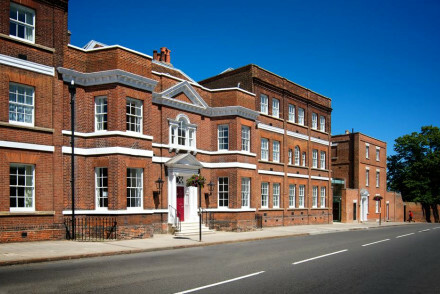 An opulent hotel in the heart of Colchester located in an elegant Georgian building. Rooms are spacious and traditionally dressed. Plump for a suite for some serious luxury including a glistening free-standing copper bath. The restaurant has been Michelin recommended. A superb stay. Local exploring - With easy access to both the centre of Colchester and the castle this is an ideal spot for exploring the town. Great walks - The property is perfectly positioned for exploring the Essex and Suffolk countryside. Sights nearby - Visit Colchester Castle, the largest Norman keep in Europe. A smart country house with the unusual title of a 'hotel within a hotel school'. Beautifully designed rooms mix traditional features such as beamed ceilings and classical wallpaper with floor to ceiling windows, luxury bathrooms and superb restaurant. The service is unsurprisingly on point too. Country Escape - A large country house with easy access to London. Ideal for a weekend away. Sights nearby - Visit Colchester Castle, the biggest Norman keep in Europe. Great walks - Take a stroll through the beautiful Beth Chatto Gardens.